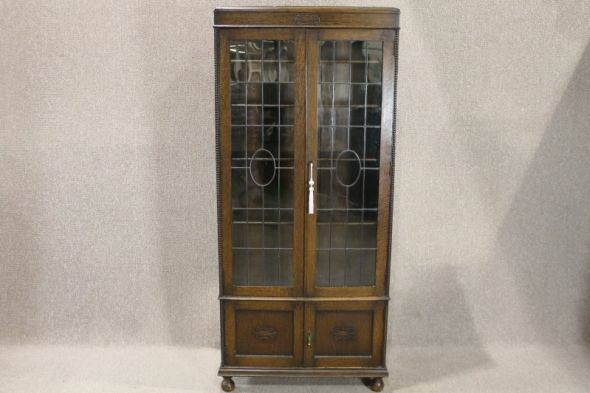 A useful and attractive solid oak 1920s bookcase, featuring leaded glazed doors which open up to reveal four useful internal shelves. These are fully adjustable and can take a wide range of different sized books. This sits upon a cupboard base which would make a useful drinks storage cupboard. An ideal piece for any period cottage interior. Sorry this item is now sold.